Carolina National Golf Club in Bolivia, N.C., located just north of Myrtle Beach, offers 27 holes designed by renowned golfer/architect Fred Couples. This Couples signature golf facility boasts a 4 1/2-star rating for its three unique nine-hole layouts named after native waterfowl – the Egret, Heron and Ibis – which golfers can play in any 18-hole combination. There’s also a 14,000 square foot putting/chipping green and the 320-yard driving range for golfers to get ready for their rounds. 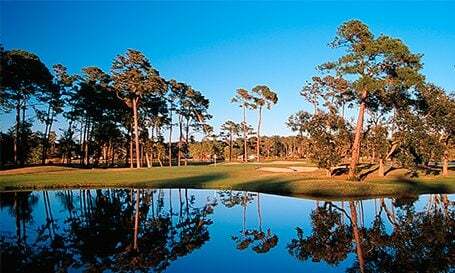 Situated along the scenic Lockwood Folly River, Carolina National was carved out of a lovely Lowcountry terrain that features wetlands and maritime forests, and offers golfers a wide variety of playing experiences. The course was designated to accommodate all skill levels through its innovative design and multiple tee placements. 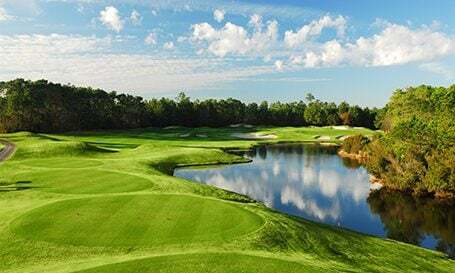 Playing at more than 7,000 yards from the tips, the Carolina National test even the most skilled golfer while offering five sets of tees for players of any level to choose from. Receive a $100 Gift Card when you choose 4 Rounds from the East Coast Golf Group. What a beautiful day in the Carolinas to enjoy the great course conditions at Carolina National, the Fred Couples signature golf course. The greens were fast but receptive to wedge shots into the green. The layout offers beautiful hole layouts and some wildlife. Definitely worth the drive into NC for this hidden gem. Cannot wait to get back out there again to capture the birdies I missed! Cancelled as greens were being aerated this week. Bunkers were washed out by recent storm and the fairways were a bit shaggy. NO STARTER. Arrived well in advance of tee time. Bag drop staff very nice, directed us to practice area where starter would take it from there. Got to practice area, no starter. Lots of other golfers wondering where to go. Back to bag drop and told starter is guy in Gilligan hat. Return to practice area, guy in Gilligan hat is hitting balls at far end of putting green paying no attention to us. We headed for one of the 9 hole courses and started ourselves. Golfers there called out tee times that were assigned and we made up our own groups. Not even sure if we were on the right course to start. At the turn, a staff member met us and asked who we were, what our tee time was, and what carts we had. No apology. Great course, great condition. Almost no grass on hard greens. Pins all on slopes. Tees too far back per the scores card. The average golfer would hate this course the way it is currently playing. Based on conditions of the four courses we played, Carolina National was in the first shape . Fairway looked like they were under water the night before. Very friendly staff. Course was in good shape. Some greens didn't have a lot of grass in spots but putted well.